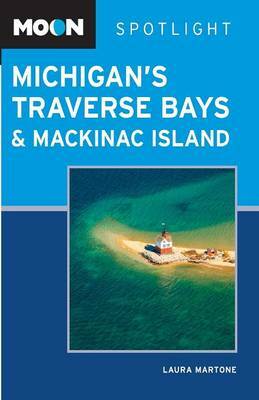 Moon Spotlight Michigan's Traverse Bays and Mackinac Island is an 80-page compact guide covering the best of northern Michigan, including Traverse City, the Leelanau Peninsula, Petoskey, and Cheboygan. Moon Michigan author Laura Martone offers her firsthand advice on must-see attractions, and includes maps with sightseeing highlights so you can make the most of your time. This lightweight guide is packed with recommendations on entertainment, shopping, recreation, accommodations, food, and transportation, making navigating this popular vacation area uncomplicated and enjoyable.